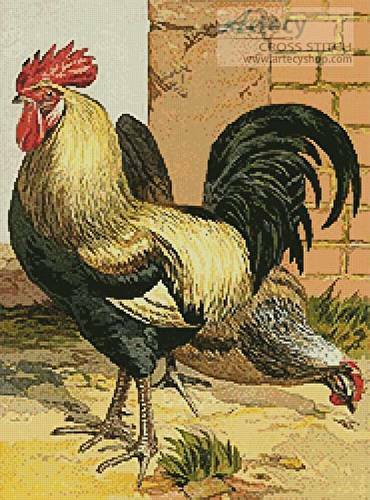 Coloured Dorking Chickens cross stitch pattern... This counted cross stitch pattern was created from an antique print by Harrison Weir. Original image used courtesy of Fine Rare Prints. http://www.finerareprints.com Only full cross stitches are used in this pattern.